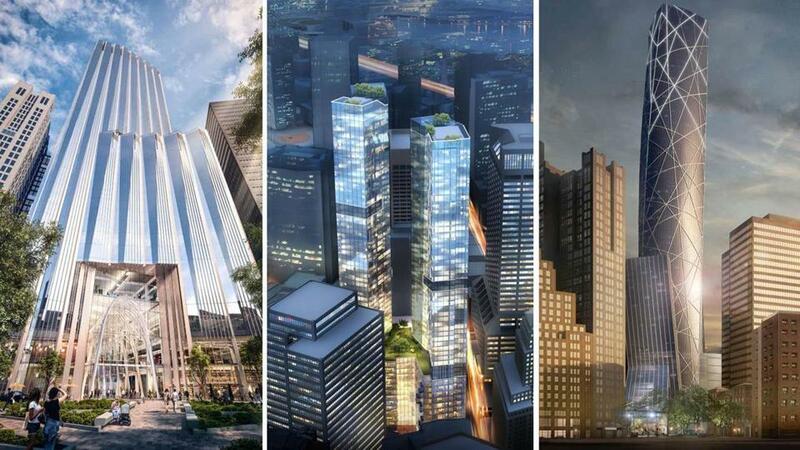 A sampling of proposals for the Winthrop Square Garage from Millenium Partners (left), Trans National Properties (middle), and a partnership of Lend Lease, Hudson Group, and Eagle Development. Derelict and closed for two years, the Winthrop Square Garage in downtown Boston is worth at least $50 million as a building site, and possibly much, much more. That’s according to bids the Boston Redevelopment Authority released Monday, from six developers who want to purchase and build on the city-owned site in the Financial District. “The price offers for the property at 115 Winthrop Square affirm our belief that this is a highly valuable and desirable development site,” BRA director Brian Golden said. The price for the property, though, will be just one factor the BRA considers as it prepares to select a winner later this summer. The offers are just a starting point for negotiations, BRA officials said, noting that they could still choose to lease the property rather than sell it. 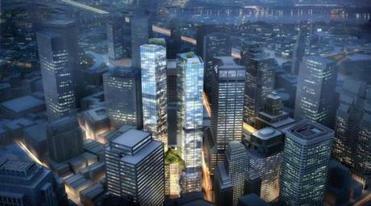 The developers have proposed a range of condos, apartments, office space, and hotels. They are also promoting the nonmonetary benefits of their proposals, from new public spaces to partnerships with community groups. Six major developers filed proposals for towers they want to put on the site of the Winthrop Square Garage. But some at City Hall see the project as a rare chance for Boston to reap tens of millions of dollars in one swoop and are pushing the BRA to maximize the return. It’s a balancing act, said Sam Tyler, president of the independent Boston Municipal Research Bureau. Among the decisions city officials will have to make is whether to take more cash upfront, or more in the form of tax revenue over time. Justin Krebs, executive vice president at Trans National Properties, noted that his proposed project — which includes using the neighboring site at 75-101 Federal St. — would be essentially be twice the size of the others that were proposed, with more office space — and a bigger tax bill every year. HYM Investments is pushing a plan for a school, a public plaza, and a new St. Anthony Shrine on the garage site, and it would build a tower across the square, where a church stands. The public space will help enliven the whole neighborhood, said HYM managing partner Tom O’Brien. And other developers were explicit, saying that if the BRA wants top dollar, it should pick someone else. Trinity Financial designed its entire project around the idea that 40 percent of its housing would be affordable. As such, they bid less — $60.5 million — to enable more low-cost housing in return. City officials are analyzing the offers, and the broader building plans, to compare six projects that vary widely in their economics and mixes of uses, BRA spokesman Nick Martin said. The authority has hired Ernst & Young to help evaluate the proposals. “We want to compare apples to apples,” Martin said. The BRA is likely to narrow the list to finalists in the next few weeks and hopes to name a developer later this summer, Martin said.